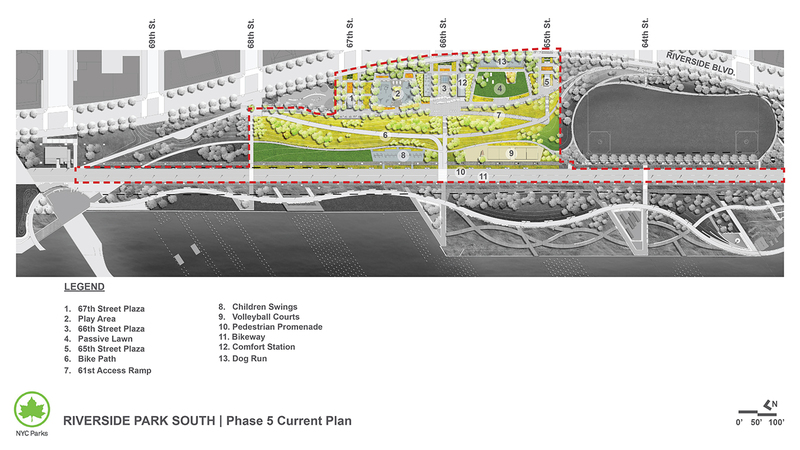 This project will construct a portion of Riverside Park South between West 65th Street and West 68th Street, including new plazas, play areas, lawns, volleyball courts, and a dog run, and it will reconstruct the bikeway between West 62nd Street and West 70th Street. Project Update: The contract completion date has changed. Some of the common reasons why a completion date has changed are: issues with a contractor, design error or omission, unexpected field conditions, change in the scope of the project, pending approval and registration of change orders and/or inclement weather.